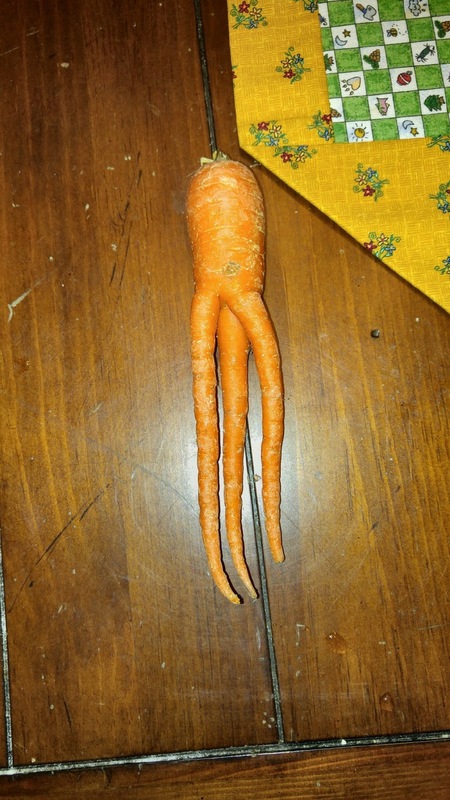 Not sure, but this carrot may be looking for the mother ship... haha. 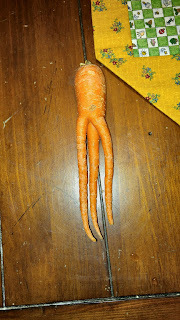 I made a big pot of ham and bean soup yesterday and when I got the bag of carrots out, this dude was in it. The ham hock I used in the soup came from the meat market in Arthur. I had thrown it in the freezer with some of the other meat I bought there. This is the last of the meat from there. It is really good. We sampled the soup last night, but tonight it's going to be our dinner, along with corn bread. Mmmm mmmm. Good old country cooking.